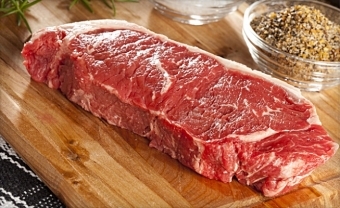 Glenburnie Grocery has Canadian AA striploin steaks on special this weekend for only $9.99 a pound! Some meats need very little prep, this is one of them! The striploin is a tender cut of meat, flavourful yet leaner than most tender cuts. It is the preferred steak choice of many, come on in and grab some today to smile despite the cold! Enjoy a restaurant caliber dinner at home!